Baltimore, MD – December 19, 2017 – Planit, Baltimore’s top integrated advertising agency, is thrilled to announce it has secured a spot on Entrepreneur Magazine’s Entrepreneur 360™ List, a comprehensive list of private companies that have mastered a balance of impact, innovation, growth, and leadership. Founded in 1994 by Matt Doud and Ed Callahan, Planit was created with the goal of creating a different kind of ad agency, which could be a partner to clients in driving creativity and smart business results. Today, Planit provides integrated marketing solutions to a broad range of global, national, and regional clients, including Sheetz, Kleenex® Facial Cleansing, Marriott International, Armstrong Flooring, Barclays Bank, and Royal® Building Products. Planit was named #127 on the Entrepreneur 360 List. Companies are selected by Entrepreneur Magazine following a comprehensive study built on a balanced scorecard designed to measure four metrics reflecting major pillars of entrepreneurship—innovation, growth, leadership, and impact. For additional details on the Entrepreneur 360 List and companies recognized, visit www.entrepreneur.com/360. Baltimore, MD – November 10, 2017 – Matt Doud, president and co-founder of Planit, was honored last night at the awards ceremony for Maryland’s 2017 Most Admired CEOs by The Daily Record. Doud was chosen as an honoree by an outside panel of judges for his professional accomplishments, community service and mentorship. His nomination was supported by letters of reference submitted by co-workers, board members and community leaders demonstrating his leadership and vision. Jack Spaulding, executive director of strategy at Planit, provided a letter of support for Doud’s nomination. “Matt believes that a CEO may be the leader of his team, but that he must serve them more than just lead them. He genuinely listens. He stays involved. His door is open to even the newest, youngest employee—and on rare occasion when it isn’t, it’s built out of glass for a reason. Transparency matters to him,” said Spaulding. The Daily Record created the Most Admired CEOs awards program to recognize talented business CEOs and nonprofit executive directors throughout Maryland for their leadership and professionalism. For more information about the program visit www.TheDailyRecord.com. We are excited to be recognized last week by the Webby’s and AMA Baltimore. Planit has been named an official Webby Awards Honoree for our work with Order&Chaos Coffee Shop in the Social – Food & Drink category. As an honoree, our work ranks in the top 17% of all work entered from around the world, totaling more than 13,000 entries. Hailed as the “Internet’s highest honor” by The New York Times, The Webby Awards is presented by the International Academy of Digital Arts and Sciences (IADAS) and is the leading international awards organization honoring excellence on the Internet. We also won Best Social Media Campaign at AMA Baltimore’s 32nd Annual Marketing Excellence Awards for our work with Order&Chaos Coffee Shop. Our approach is a dynamic social push that connects followers to mouthwatering content and a seriously addictive graphic style. To keep appetites healthy, we created a social framework consisting of elements like playful logo versioning, found photography, impromptu offers, and curated playlists. This range of digital treats allows Order&Chaos to consistently bring the artistic and collaborative energy of its shop to every follower. 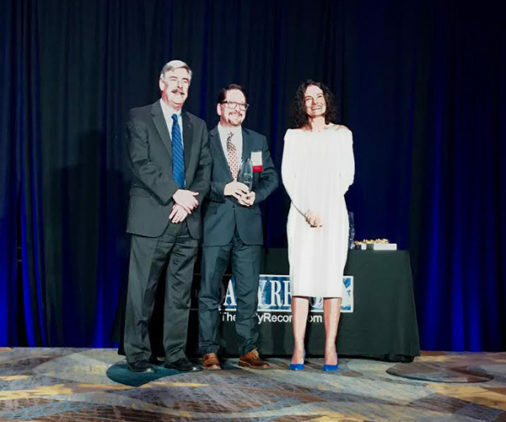 Additionally, we were proud to join our partner, Maryland Auto, at the Marketing Excellence Awards, where we won Overall Campaign of the Year. Our campaign, inclusive of branding, advertising, and public relations initiatives, has reinvigorated the 42-year-old brand and is helping to decrease the number of uninsured drivers on Maryland’s roadways. This year, the American Advertising Federation of Baltimore received a record number of entries, 371 in total, resulting in 98 ADDY awards being presented to local agencies, production houses, and in-house marketing teams. One student award was also presented for the first time in Baltimore Ad Club history. To ensure fair judging, three creative advertising professionals from outside of the Baltimore market reviewed each entry. The 43rd Annual Baltimore American Advertising Awards event was held at the American Visionary Arts Museum on Thursday, March 9. In this Baltimore Business Journal guest column, Planit’s co-founders share what it takes to succeed in this ever-changing industry. The recent closure of two venerable Baltimore advertising agencies – each after more than 30 years in business — sent shockwaves through the Baltimore ad community and beyond. Last week’s closure of two venerable Baltimore advertising agencies, Siquis Ltd. and the Leffler Agency — each after more than 30 years in business — sent shockwaves through the Baltimore ad community and beyond. The news noted largely economic reasons for the shutdowns, begging questions about the future of advertising in Baltimore and what it takes to succeed in this ever-changing industry. Here are three answers to those challenges. Charm City’s agencies work not only with notable brands headquartered in Baltimore like Under Armour, Stanley Black & Decker, Pandora, and McCormick & Co., but also with out-of-market global brands like Kimberly-Clark/Kleenex, Sprint, Lacoste, Microsoft, and Hershey’s, among others. Providing more than just tactical support, Baltimore’s firms lead innovative, industry-changing marketing campaigns that drive the bottom line. The most successful agencies have realized the need to connect traditional advertising tactics like print, radio, and TV to the total customer experience. Successful campaigns reach consumers across a much wider and more diverse marketing landscape, tailoring the right story about the right product to the right person at the right time. Rather than interruptive advertising, we now find unique ways to create “branded utility” that provides uncommon value and invites consumers to engage with clients’ offerings on their time, in the ways they prefer. 2. Baltimore’s industrial economy is a sleeping giant. A thriving port city, Baltimore was one of the early drivers of American commerce. Today, the industries have evolved, but Baltimore is still rich with prosperous companies and economic opportunity. According to the Economic Alliance of Baltimore, the Washington-Baltimore region has a larger base and higher concentration of IT professionals than Silicon Valley or Boston, is considered the epicenter of cybersecurity both nationally and internationally, and boasts $1.16 billion in BioHealth venture capital funding. Planit recently invested $4 million to keep our office downtown by converting an iconic “old industry” factory, the King Syrup plant, into a “new industry” hub for innovation and collaboration that inspires our 100 employees. There’s a reason companies seeking to leverage the growing creative class stay in Baltimore. 3. We have to help businesses realize it’s time to disrupt themselves. Most industries and businesses in need of a paradigm shift don’t even realize they’ve lost their edge. That’s where smart marketing firms come in. In order to solve business problems like a consultant instead of just executing ads, the modern marketer looks for data that yields rich insights about customer sentiment and brand stagnation. At Planit, we help turn time-tested, successful, sometimes tired organizations that can be slow to evolve — what we call “battleship brands” — into spaces where they can ride a new wave. For example, Kleenex selected Planit to more nimbly, expediently, and cost-effectively drive leads through the purchase funnel. The catch? The product is available exclusively online. So the workhorses of the conventional media mix have been replaced with a steady diet of digital connection points: curated social channel content, segmented email marketing, innovatively targeted display ads, and the like. Many of the world’s most successful companies, and in turn the most successful ad strategies, are truly disruptive. Today’s agencies need to embrace the notion that marketing and advertising is not linear; it’s a multi-faceted, total customer lifecycle approach, and it requires a readiness to boldly integrate a wider variety of channels than ever before. Nothing should be done without first considering how it will be measured, add value, and strengthen the brand. When we keep those ideals intact, we become an indispensable embodiment of Baltimore’s culture and restless innovative spirit. Matt Doud and Ed Callahan are co-founders of Planit, a Baltimore-based advertising and marketing agency established in 1994.